Oh Minkpink, I love you. This is the second kimono of theirs that I've added to my collection and I don't want to stop. That's right, I've got my eye on you next, little guy. I can't find the exact version of the one I'm wearing in this post but I've found it in a slightly different colour on good old Urban Outfitters here. I keep finding myself gravitating towards floaty, ethereal clothes recently, like kimonos and long dresses... In fact, to celebrate getting my degree, I treated myself to THE most impractical but beautiful dress ever (this one right here). I've told myself I'll wear it around the flat to justify the price. Heh. The lovely Zara from Zara Taylor was kind enough to send me over a few of her designs last week, which I popped on as soon as they arrived. I've featured some her products before and still wear them all the time, so can pretty much call myself an expert on them. Oh, what's that? Apparently, no, that doesn't qualify me as an expert, but I do know enough to tell you that you won't regret having a browse. I've been wanting a kimono for a hot minute. Preferably a vintage one but this.... 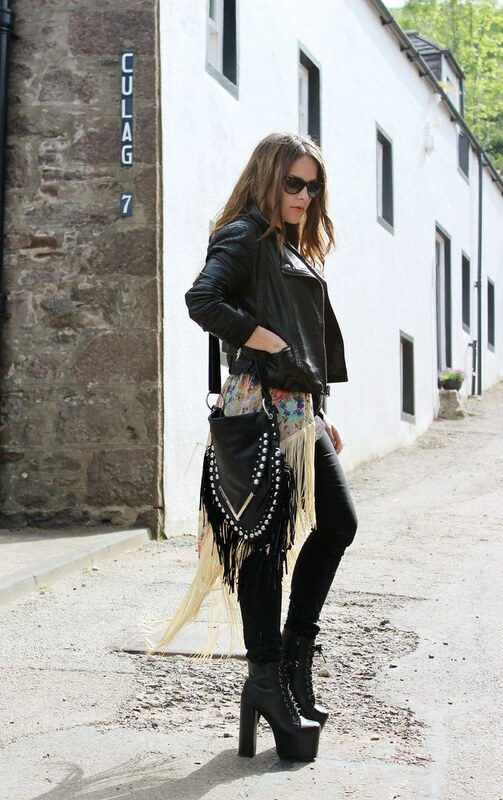 I love me some fringe. The print on your kimono is so beautiful, It really suits you! I might just be tempted to get one know! ... also Im sooo glad I just discovered your blog, I will definitely be reading through it later as It looks amazing! I need one of these in my life. I absolutely adore Minkpink too, I think everyone does! Urban Outfitters have this kimono in a different colour and it's absolutely amazing, I just wish I could afford it! 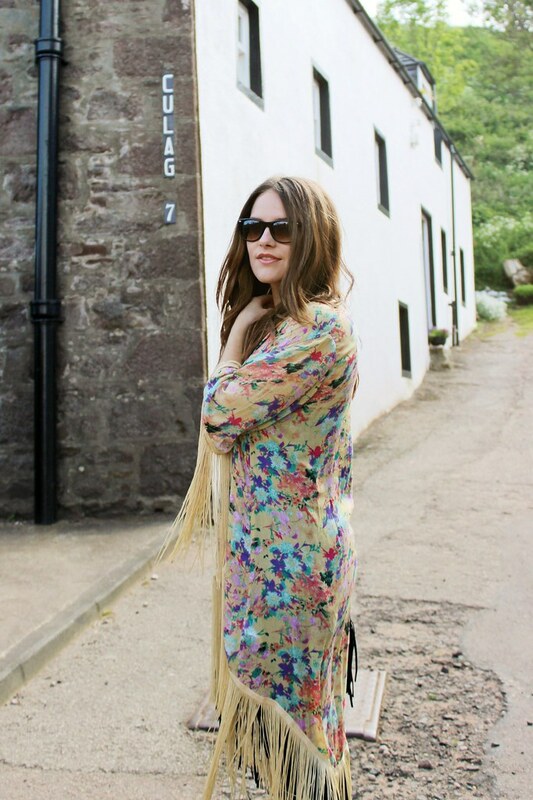 summer is here and I feel an influx of minkpink coming to my blog soon also... brill kimono and you look lovely as per. 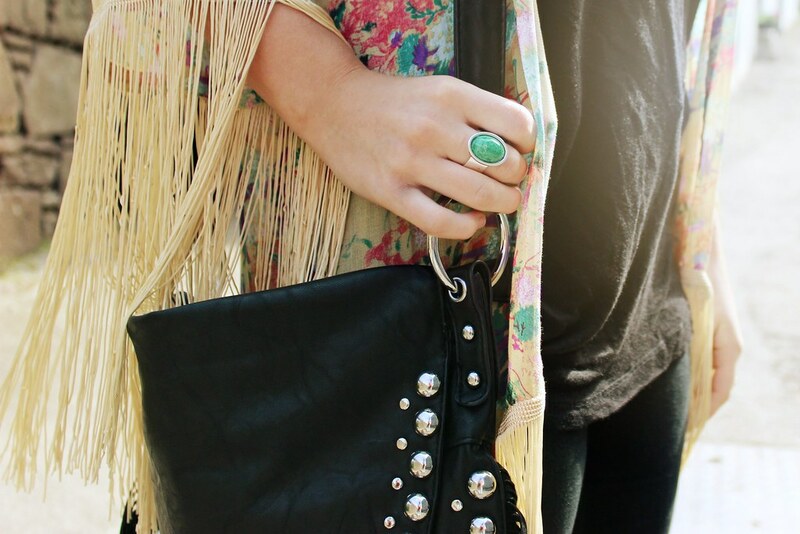 Such a cute kimono, cool outfit! Eeeep, I'm starting to turn mermaid green with envy, I need me a MP kimono! ;) Such a babe. 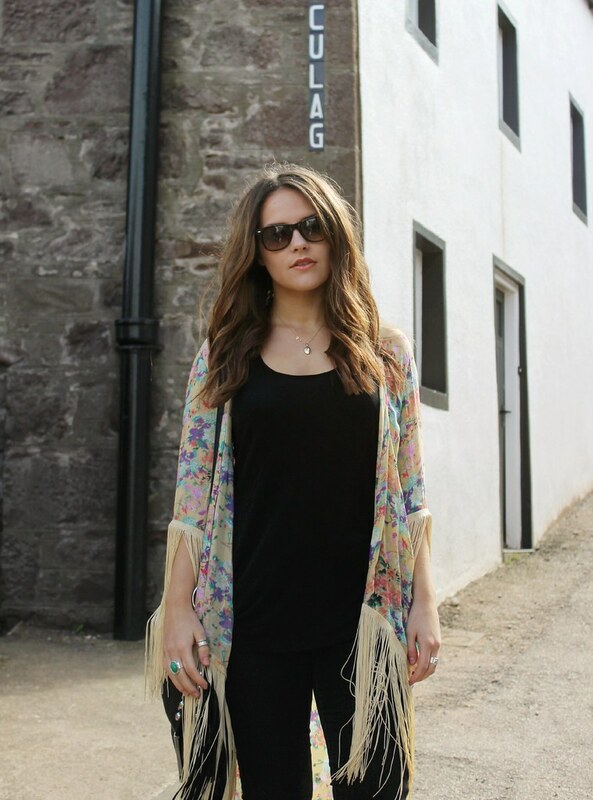 this is such a cool outfit, that kimono is such a great piece, so versatile! love it!!!! I love this outfit, the color, the fit, and everything. Very fashionable. I would like to get some good sheepskin jackets for myself and my friends, we are all like leather clothing, so cool.